We really hope you like what you have already seen and read on our web site, but to help you in your decision making process, please find below a few reviews and comments from previous brides and grooms we have had the pleasure to work with. Many bookings we receive are as a direct result of personal recommendations from previous highly satisfied clients. 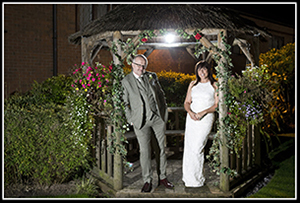 "...We were looking for a Nottingham wedding photographer and tried lots of places, wedding fares, the internet and advertisements. All were extremely expensive and seemed too stuffy and not what we were wanting. We eventually came across Glenn, whose work and prices were fantastic. At first we thought the considerable price difference was too good to be true and there must be something wrong. Well how wrong we were, Glenn visited us at home and immediately put our minds at ease he showed us examples of his work and explained the relaxed style in which he works. We could spread the cost and also choose what we wanted. We were not disappointed, on the day Glenn was fantastic, so professional yet relaxed, we almost did not know he was there. The resulting images he captured are truly amazing and we can not stop looking at them. 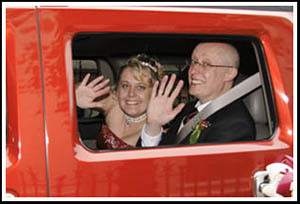 We would recommend him to anyone, he captures the most important day of your life brilliantly at an unbelievably competitive price"
"...From our very first meeting with Glenn he put us totally at ease, he understood and made it clear that it was our day and that we were the ones in control. On the day of the wedding apart from the photographs that we specifically requested at the service we didn't even notice that he was there, constantly snapping away capturing every moment. The end result was fantastic, he presented us with our personal DVD slide show of the day and from that our professionally presented album which will be cherished forever. The quality of his work is outstanding and he is a true professional. Friends and family could not believe the value we got for the price charged, and we would not hesitate to recommend Glenn to anyone who is getting married or has a special event and wants their photographs to be as special as the day itself. 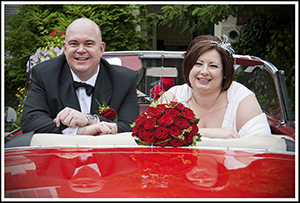 We can not thank Glenn enough for making our special day complete"
"...Just a note to say a very big thank you for the excellent service you provided for our wedding in July. Not only was your service fantastic value for money, but you were really flexible and willing to work around us and our guests - not easy seeing as we booked a photographer, but didn't want to pose for any photos! You captured the general relaxed feel of the day perfectly and we could not be happier with the resulting photos. We would happily recommend your services to family or friends - in fact we have already booked again!!! Thanks again see you on Friday!" 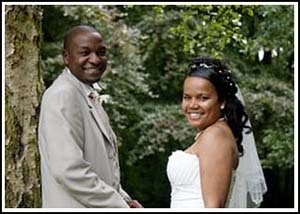 "...Thank you Glenn for making our wedding day even more special!! We couldn't have asked for better, we mostly forgot you were there; you captured loads of natural shots which are stunning!! The album you have put together for us is beautiful and excellent quality, what more could a couple ask for! We will definitely be in touch for some more photographs and recommend you!!" "Photographs of a wedding are so important, not just for the bride and groom, but for everybody attending so they too can remember the day. Glenn's photographs of our wedding were perfect in all respects and we are very grateful for all the hard work he performed in capturing the wedding ceremony and reception so splendidly in pictures. 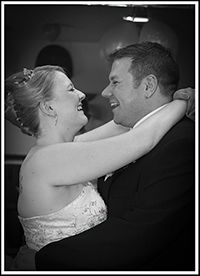 We have received many complimentary comments from relatives and friends about the high quality of the photographs in our album and DVD and we would like to thank Glenn very much for providing such a quality pictorial record of our wedding. The 'formal' pictures of bride and groom were excellent, but it was the 'informal' pictures of ourselves and all the guests that literally put the icing on the wedding cake!! Thank you very much and we would certainly recommend you to others." "...We would recommend Glenn Mather photography without reservation, as the quality of work met over and beyond our expectations. He was very professional in his approach and his presentation of work was to a high standard. Thank you once again Glenn." "...We liked Glenn from the moment we met him, he was a very nice chap and very professional. He made it clear what we would get for our money and he delivered exactly what he said he would. During the actual day he was excellent and captured some fantastic images that makes us smile every time we see them. He was unobtrusive and made everyone feel at ease when taking photos. Once all the 'official' photos were out of the way we hardly knew he was there. We would highly recommend Glenn to anyone, as he is very professional, his product is excellent and fantastic value for money." ....still not convinced? click here for even more totally independent Google reviews.